The UAE is joining the world countries in celebration of the World Health Day which falls on April 7 every year. This year's theme is “Universal Health Coverage” under the slogan “Health for All”. In this regard, the Ministry of Health underlines its commitment to launching the health initiatives, programmes, and projects which consolidate the leading position of our health system, in addition to our integrated and innovative health services in line with the latest medical technologies. 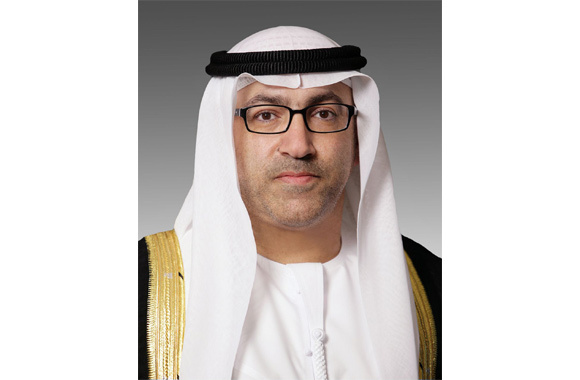 Furthermore, we, at the Ministry of Health, spare no effort to explore the future and to achieve the health services sustainability in accordance with the country's wise leadership to lead future governments in pursuance of the pillars of the National Agenda for UAE Vision 2021. On this occasion, I would like to hail the Ministry's staff at all supervisory and executive levels due to their key role in carrying out the wise leadership's vision aiming to achieve a world-class healthcare system. We reiterate our commitment to providing innovative health solutions along with the sustainable investment in national human cadres to find therapeutic and preventative solutions for chronic diseases and to lead the future exploration in the healthcare services. Also, we reaffirm our determination to provide the best healthcare services for patients and members of the society and to achieve further accomplishments to promote our healthcare services to reach prestigious competitive levels living up to the UAE's reputation. The Ministry of Health and Prevention is keen on launching innovative initiatives and projects to consolidate the preventative aspect and to combat chronic diseases. To that end, we rely on integrating Artificial Intelligence, the fourth industrial revolution and smart applications in health services. In addition to that, we provide remote healthcare services and use the virtual reality technology in accordance with the best international practices and in line with the UAE Centennial 2071. Lately, the UAE has ranked the world's first position, ahead of 160 countries across the globe, in the global survey indicators in terms of satisfaction with healthcare services provided. Can tech insulate construction and support growth?